Gerhard Richter is justly famed for the photorealism of his early canvases, but it is less well known that he has also painted directly onto photographic prints. These (mostly small-format) pieces were reproduced in books as early as the first Atlas, but practically all of the works themselves are housed in private collections and rarely exhibited in public. Overpainted Photographs gathers this body of work, which unites the labor of the hand with the work of mechanical reproduction to produce a kind of art as conceptually rich as Richter's better-known paintings, neutralizing the expressive powers of each medium to reach an indifference to their potency. In an overture to Duchamp's degree zero' found objects, the original photographs are frequently bland in content-an empty office, a ball, a beach scene or tourist snapshot-and Richter's painterly gestures bounce off that content in peculiar ways, sometimes interacting with it, sometimes overlaying it and sometimes threatening to eclipse it altogether. The final effect is to cause both photography and painting to seem like incredibly bizarre activities, disparate in texture but often complicit in aspiration. 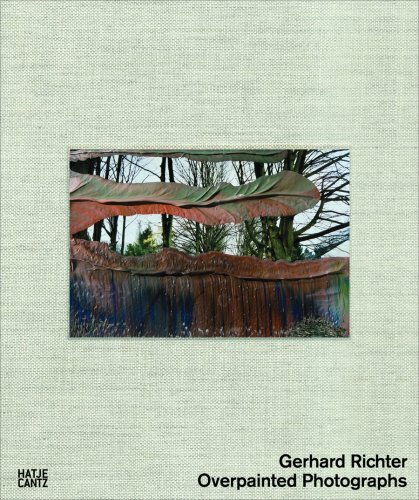 This monograph offers a unique opportunity to savor what had previously been a neglected but copious aspect of Richter's work.